All the documents are available to download for free from this website. 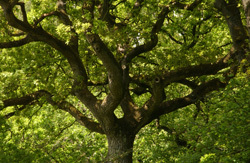 The group is chaired by Clive Tucker, Non-Executive Member of Forestry Commission England National Committee. Membership is open to all interested stakeholder organisations and groups. However, individuals are not eligible to become members of the NTSG. A management committee comprised of the Chair and no more than 12 representatives from across the range of interests directs the NTSG. Further members can be co-opted on to the Management Committee at the discretion of the Chair to ensure a broad representation. The management committee also forms sub committees and uses expertise from within and outside its membership to most effectively achieve the objective of the NTSG.